The Lane Field hotels will replace the North Embarcadero Visionary Plan’s proposed oval park — one of many changes to the original “vision” agreed upon by government agencies and the public. Photo by Brad Racino, inewsource. There’s movement again along downtown’s northern waterfront. 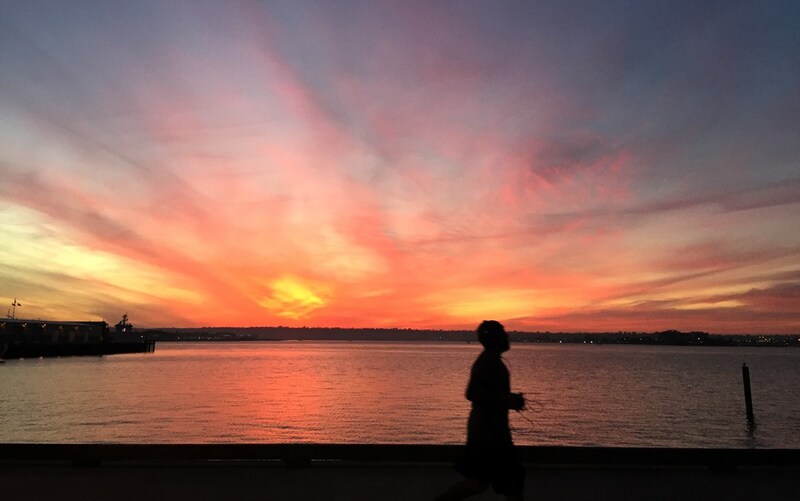 The Port of San Diego and partner agencies completed the first phase of the North Embarcadero Visionary Plan — a redesign of the 1.2-mile stretch of land between Seaport Village and San Diego International Airport — in November 2014. The remaining phases have languished. Now, as part of a state mandate, the port is moving ahead with changes at Navy Pier, parking and circulation improvements and more public space. inewsource detailed in April how the visionary plan, which was adopted into law in 2000, devolved from a publicly championed development intended to reconnect the city with the bay through open space. In its place is mostly hotels and parking spaces. As part of the first phase, the port did complete infrastructure upgrades, including a 1.6-acre park, but results fell short of the original vision. 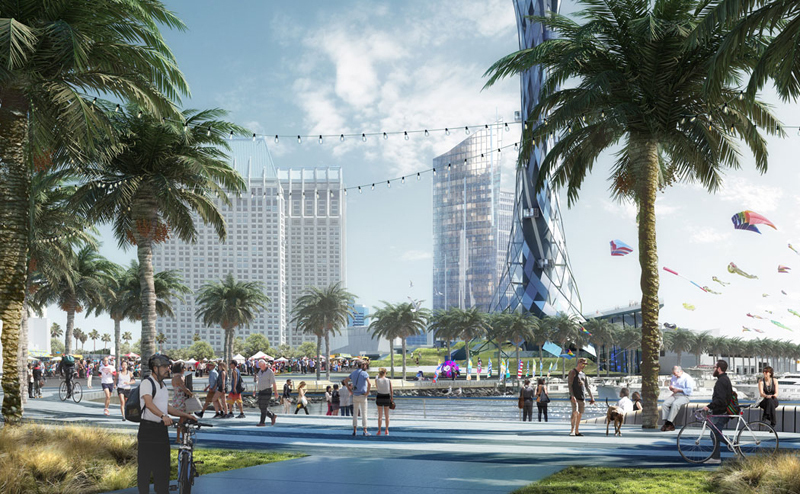 Several port board members who were involved early on with the visionary plan told inewsource they were disappointed with what’s happened with the bayfront property. inewsource dove deep into the history of the North Embarcadero Visionary Plan in April’s “The port, the lawyer and the salesman.” Click the photo to read the story. The California Coastal Commission, a state agency that oversees waterfront development, approved the first phase of the North Embarcadero Visionary Plan in 2011 with certain conditions: namely, that the port needed to identify a location for a new waterfront park, lay out a plan for renewing the Grape Street Piers, enhance parking and circulation along Harbor Drive and commit to specific timelines for the entire process. Over the past five years, the port put off those requirements as it worked toward a new Port Master Plan Amendment — part of a legal document laying out the public agency’s land use and planning. Now, the port wants to raise parking rates on Navy Pier, which serves as parking for the U.S.S. Midway Museum, but knows the coastal commission won’t allow it until that 2011 commitment is fulfilled. To move things along, the port promised to accelerate the 15 elements identified by the commission at the same time it applied for the rate hike. After the structure is demolished, the port plans to install 151 more parking spaces in its place, along with walkways, landscaping and a 7,840-square-foot public viewing area on the west end of the pier. 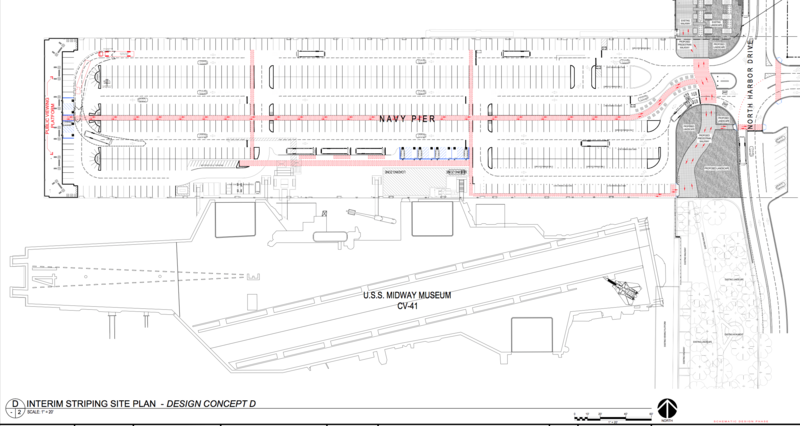 The port’s interim plan for parking on Navy Pier. For high-res, click on the photo. Developing a “Veteran’s Memorial Park” became a requirement in 2001 as part of the U.S.S. Midway’s entitlement process, and the current Port Master Plan has the 5.7-acre park listed as a “specific planning goal” of the district. The problem, according to port staff, is finding space to relocate pierside parking that continues to service the popular Midway attraction. As outlined in inewsource’s story in April, the biggest loss along the North Embarcadero — according to port critics and commissioners themselves — was the promised “oval park,” two city blocks in size and located at the foot of West Broadway adjacent to Broadway Pier. That park was never built. The proposed oval park. Click for high-res. To make up for its removal, the port agreed to identify, evaluate and implement a plan for an alternative park at least 1.25 acres large and the majority of it contiguous space. According to the port’s environmental and land use program manager, Wileen Manaois, one potential area under consideration is the land just west of the county’s Waterfront Park, along Harbor Drive. *An analysis of time frames for construction, estimation of costs, and identifying and securing funding sources. 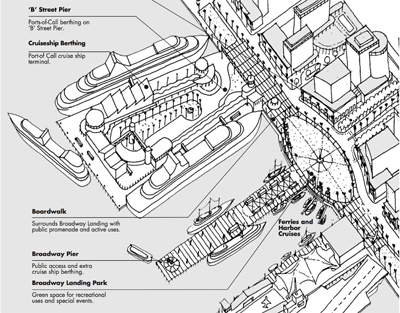 The lonely Grape Street piers, which today deteriorate behind padlocked gates, were to be knocked down according to the original visionary plan, then consolidated into a single, publicly accessible pier. 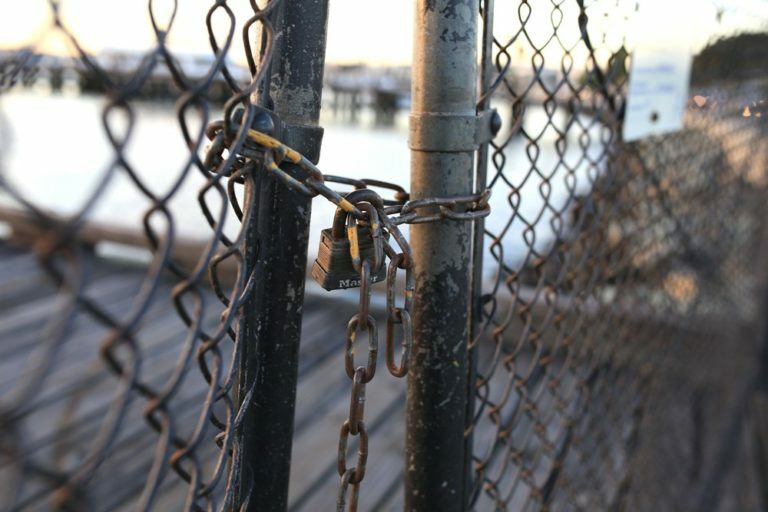 The Coastal Commission requires the port to define “future uses of the Grape Street piers,” but Manaois said the port hasn’t made any progress yet on that element. *Implementing an Embarcadero Circulator Shuttle. 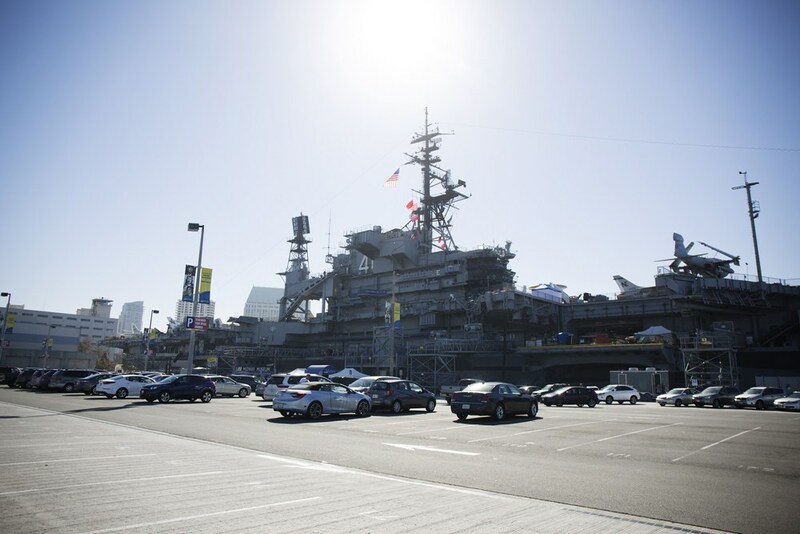 It began operation in 2012 and is now called the Port of San Diego Shuttle. *Replacing parking removed by the new, alternative Waterfront Destination Park. While the park location has yet to be identified, if the port does opt for the space west of the county administration building, it would remove “something like 130 spaces” according to Manaois. *Reducing automobile circulation in the Embarcadero area. 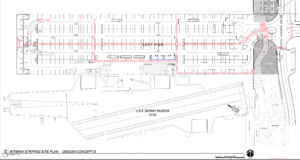 Port staff has presented several options for reducing Harbor Drive from its current four lanes to two with no parking on either side. The remaining Coastal Commission requirements deal with clarifications, such as differentiating between grass and hardscape, and evaluations and studies (including a setback study related to an agreement with the nonprofit Navy Broadway Complex Coalition). 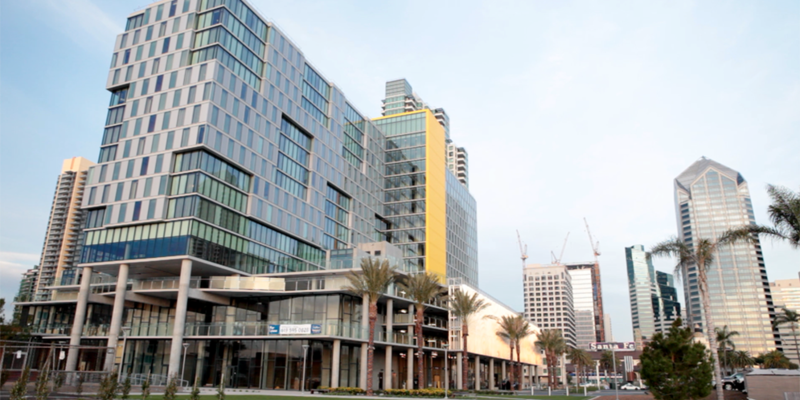 inewsource dove into the port’s newest development along the Central Embarcadero, called “Seaport,” in an October 2016 story. Click the photo to read more.